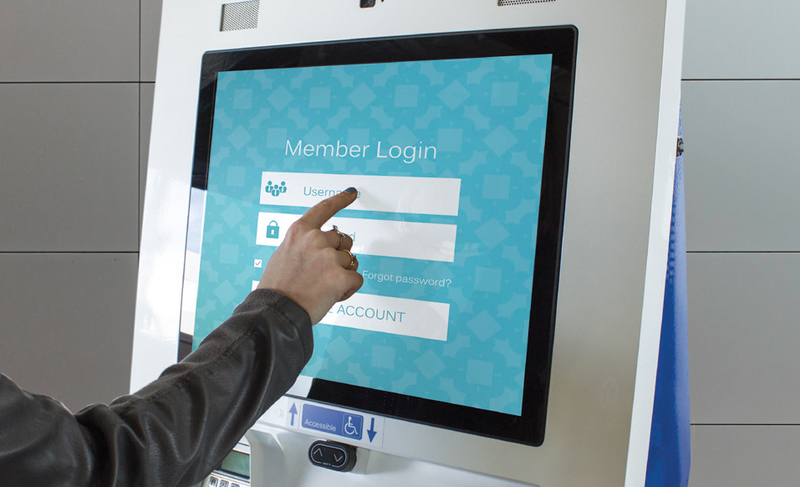 For health care providers, a waiting room kiosk allows patients to fill out forms or make payments on their account, taking some of the burden off the front desk staff. A kiosk in a pharmacy can perform functions ranging from blood pressure checks to telehealth consultations, while a kiosk in a hospital setting lets doctors easily check a patient record, submit prescriptions for medications or schedule tests. Olea Kiosks offers a complete line of tablet and full-size kiosks. Its tabletline can be mounted on a tabletop, a wall or on a freestanding mount, and units come with a card reader. On the full-size kiosk side, Olea offers several models specifically designed for the HR and health care spaces; its Verona model is the only pushbutton height-adjustable kiosk on the market. The units can be raised or lowered by 10 inches at the push of a button, making them easily accessible by a person of any height or ability. “ADA is becoming a major concern here in California and we suspect it will become much more of an issue in other states as kiosks become more commonplace in the healthcare and HR fields,” Olea said.